Bournemouth Borough Council: Pure Town Planning are delighted to announce we have recently secured planning permission for the change of use of a C1 boutique hotel to C3 residential use in Boscombe Manor, Bournemouth. 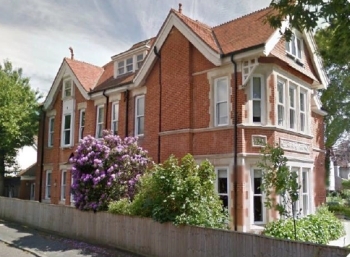 The Edwardian villa on Wollstonecraft Road was originally in HMO use before securing permission to be converted into a 10 bedroom boutique hotel – Chalfield Manor – in 2011. Despite extensive marketing and refurbishment of the building over recent years, the hotel business was considered to be no longer viable. As such, the current owner proposed to change the use of the failing hotel back to residential use in the form of a spacious and striking family home in Boscombe Manor. PTP, with the assistance of Sturt & Company, liaised with both the Bournemouth Borough Council Planning Officer and the Tourism Department to provide substantial evidence proving the hotel was unviable and demonstrating how its loss would not harm the function of the area in relation to the wider tourism industry and local community. Following rigorous consultation with the Council, it was determined that the proposed change of use was indeed policy compliant and delivered a new family home in this highly sustainable location to the overall betterment of the site. Here at Pure Town Planning, we like nothing more than securing our clients’ planning approvals. If you have a hotel property or B&B that you wish to develop and are looking for a firm who will work tirelessly to steer your development through the planning process, then why not give us a call or send us an email to info@puretownplanning.co.uk.